Going to take a look back at some of my older editions of Cook’s Country magazine and America’s Test Kitchen magazine to see what will come up in a seasonal kind of way. So, first up – Cook’s Country Jan 2011, as in the title of this post. 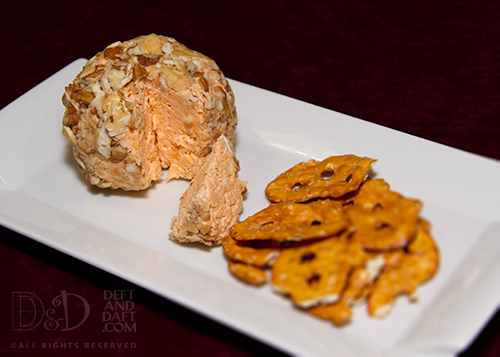 Okay – I made this original recipe for Christmas and divided it in half for a friend who admits to liking cheese balls and to get input. 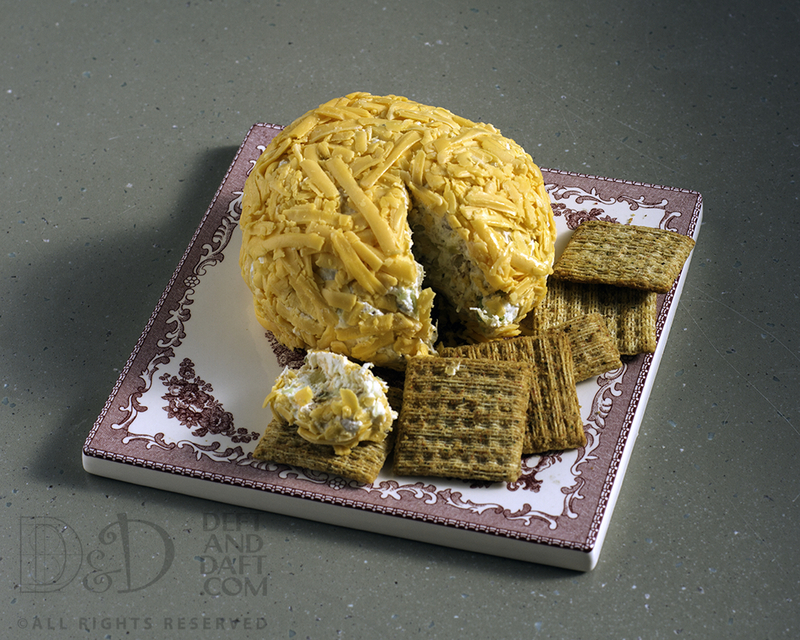 This went very well – all participants in the experiment were pleased with the cheese ball. Process all ingredients (except nuts) in food processor until smooth, scraping down sides (a given) about 1 minute. (my notes: whirl up garlic first to mince it – so much easier) Transfer to center of large piece of cling film. Holding corners of the cling film in one hand, twist the cheese with the other hand to seal the film and shape the cheese into a rough ball. Refrigerate until firm, about one hour (can be refridgerated for two days). 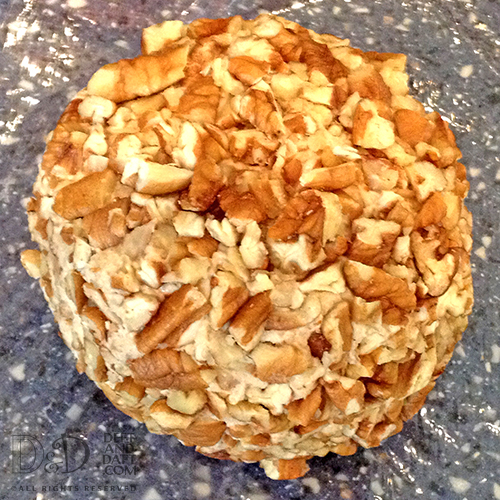 Once the cheese ball is firm, reshape as necessary into smooth sphere. Unwrap and roll in nuts. (I used pecans since they are local). Let sit 15 minutes before serving. Served 21 Dec 2014 – family really liked. Am pleased. Now that I’ve seen the original in Cook’s Country magazine there is another variation that I would like to try and I’ll likely share with my friend Traci and her family again. I mean you have to be cool to say that you like a cheese ball. It’s a little dorky, but … come on, for New Year’s – who is going to be a critic then. If they are, they are not your friend. Cheddar cheese ball without mayonnaise, Worcestershire and cayenne. Add 3 Tbs beer and 1 tsp yellow mustard in food processor. Replace nuts with 1/2 cup crushed pretzels. Made a full recipe to divide between me and my friend Traci and her family. Shaped it and chilled overnight yesterday. Coated with pretzel crisps – not quite real pretzels, but I like them (and had them on hand) and mixed with a few pecan pieces. I used a bit more mustard than was called for, but it seemed like it needed it (to me) and used the now rare, at least in our area, Sweet Hot Mister Mustard. A true delicacy.